At Planet Air Sports, we are always looking to expand our family of employees. We strive to provide a great, fun and pleasant work atmosphere allowing current and future staff members to enjoy their work as much as we do. We believe that a respectful, yet friendly relationship with our staff, allows them to develop their skills at a full potential. Therefore, reflecting on their actions and way to handle situations on the work floor. Stay on the lookout and visit the Job Opportunities frequently, as we will be posting any openings that become available, whether they are full time, part time or seasonal. Once a position is open, simply fill out the application form on the link listed below, and one of our staff members will be contacting you shortly to schedule an interview or discuss further details. We are currently looking for a Court Monitor to join our staff. 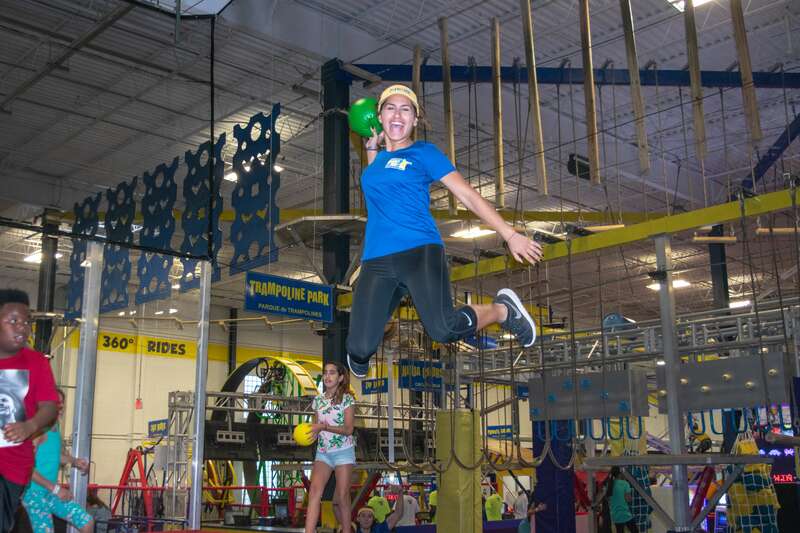 A Court Monitor will be the person responsible to enforce all of Planet Air Sports safety rules and policies, therefore keeping everyone in a safe and fun environment while maintaining an excellent customer service. Court Monitors at Planet Air Sports will work directly with our visitors and guests in order to provide them with friendly and professional assistance whenever is needed. If you have any additional questions or comments about the position, please feel free to contact us at deerfield@planetairsports.com. We will be more than glad to help and answer any questions you may have. Must be 18 or older. Trampoline experience is a plus.